Taking the award-winning Chair One frame, Helinox modified the design to have a taller back and a wider, deeper seat. The Chair Two Rocker goes even one step further in lightweight camp-furniture comfort with removable rocking feet, giving you the choice to rock out or not. 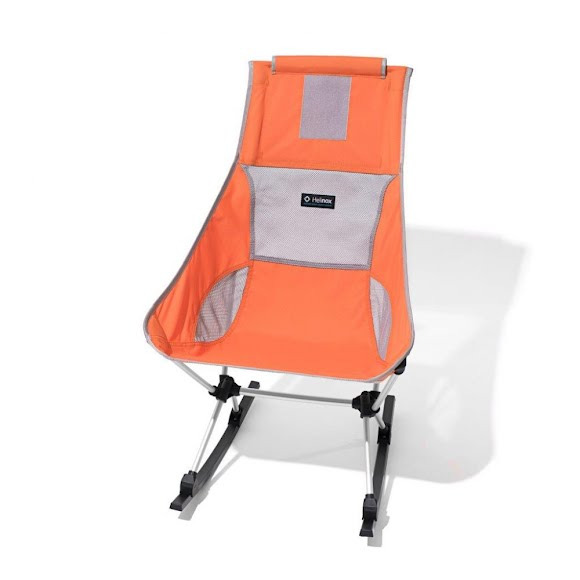 The Chair Two Rocker is at a new level in Big Agnes supreme comfort and style. Measurements W=21.7", D=25.6", H=34.3"; Packed Size 24.4" x 6.5" x 6.5"